Glutathione is called the master antioxidant because it is manufactured inside our body. Other antioxidants such as Vit. C, A, and E are not made in the body. This doesn't discount in any way, of course, that we need other antioxidants. Our bodies need a variety of vitamins and minerals. That is why nutritionists advise us to eat a variety of foods especially fruits and vegetables. Aside from being rich in vitamins, minerals, phytochemicals, and antioxidants, they are low-calorie and high-fiber. Antioxidant Nutrition is the primary chemical line of defense against the negative impact of free radical damage. Not only will antioxidants protect against free radicals, they will also help repair cells already impacted by free radical damage. The simplest way to maximize antioxidant levels is to follow a diet high in antioxidant nutrition! What is the difference between glutathione and other antioxidants? Antioxidants are generaly classified into two types. These are the endogenous and exogenous antioxidants. Endogenous antioxidants are those that are made inside the body. Exogenous antioxidants, on the other hand, are those that come from outside the body, usually in the form of food. body. Glutathione, the master antioxidant, falls under this type. As well as coenzyme Q10 and Alpha Lipoic Acid. You probably have heard of coenzyme Q10 as being used as an anti-wrinkle cream in the market. And alpha lipoic acid is used in treating memory disorders such as Alzheimer's Disease. Other endogenous antioxidants are superoxide dismutase (SOD) and catalase. These are enzymes, chemicals that speed up reactions. B. Exogenous antioxidants can be classifed in general to four types. These are the phytochemicals, herbal antioxidants, vitamin antioxidants, and mineral antioxidants. Phytochemicals are chemicals in plants. Examples of these are carotenoids and bioflavanoids. Phytochemicals are responsible for the colors of plants such as the color blue of this flower on the right. Some phytochemicals such as resveratol and flavonoids have antioxidant properties. Herbal Antioxidants are antioxidants found in herbs. Common examples are milk thistle, gingko, biloba, and garlic. These herbs contains different forms of boiflavonoids as well as vitamins and minerals that may have antioxidant properties. Milk thistle is a flowering plant from the daisy family. Its extract, sylimarin, is used to improve the liver's function and is used to treat liver diseases. The extract of the leaves of Gingko biloba tree is known to prevent oxidative cell damage from radical (antioxidant property) among others. It is also known to improve attention and memory in healthy individuals. 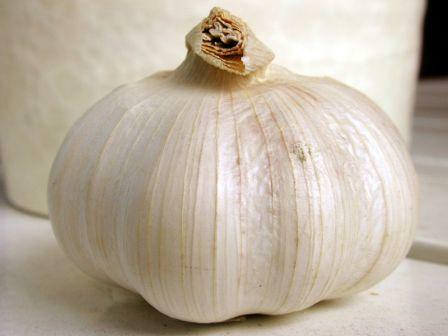 Garlic is a well-know herb that is claimed to help prevent heart diseases, lower cholesterol, and prevent cancer. Vitamin Antioxidants are self-explanatory. Examples of which are the popular Vitamins A, C and E.
What makes glutathione stand out from other endogenous antioxidants? Glutathione stands out among the endogenous antioxidants since it is the cell's protector and major defense against invaders and free radicals . Without glutathione, our cells have no defense against these free radicals. This is why glutathione is called the master antioxidant. In fact, the levels of glutathione determine the level of oxidative stress in our body. Oxidative stress is found to be one of the causes of diseases such as Parkinson's disease, Chronic Fatigue Syndrome, and Liver Cirrhosis. It is also a major cause of male infertility. So, if our bodies lack glutathione, we are more likely to age faster and are more prone to diseases. Want to know the difference between glutathione and other endogenous antioxidants? Click here. In summary, all antioxidants, whether endogenous or exogenous, are important. They are all good for our health. So, by all means, have your fill of fruits, vegetables, and herbs. And glutathione supplements, too. 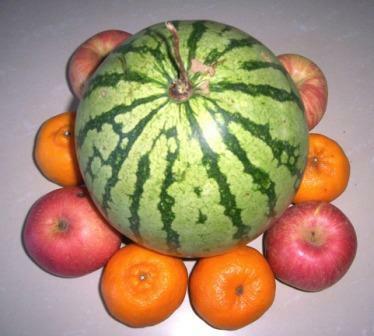 However, too much weight has been placed on exogenous antioxidants. We have overlooked the more important ones - our body's own! Glutathione is our body's own master antioxidant, protecting it against free radicals in the cellular level. We should therefore increase and maintain high glutathione levels in our body to be in the pink of health! How do we make sure our body's GSH levels are high?